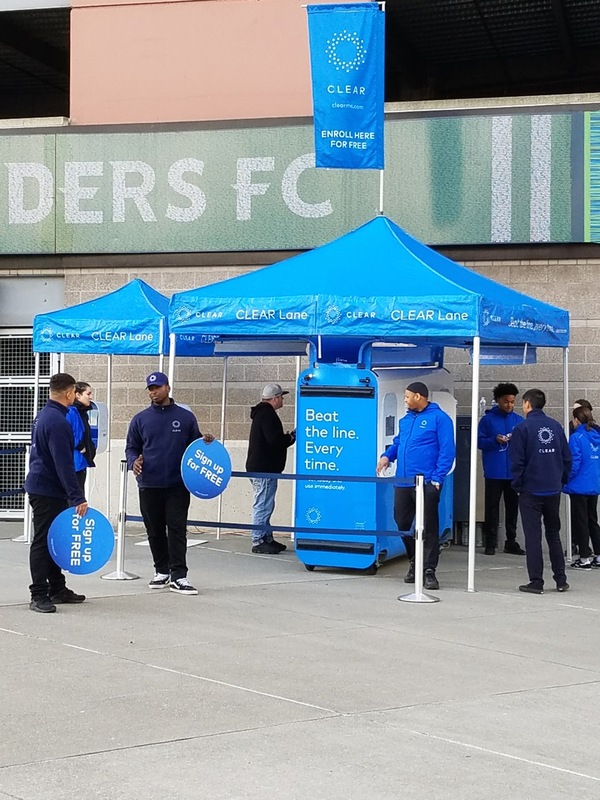 Seattle football and soccer fans are giving a big thumbs-up to a new concessions system at CenturyLink Field that lets them buy a beer or other items simply by tapping their fingerprint at payment time. 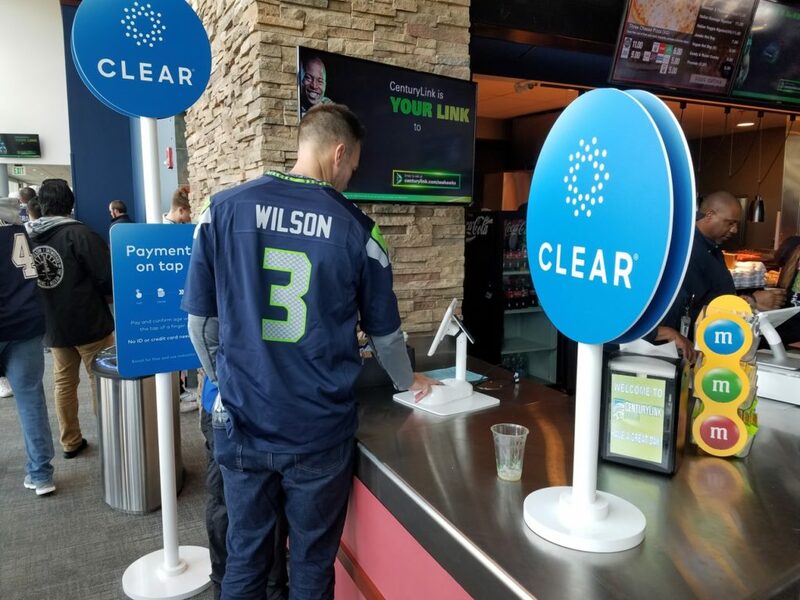 Clear, the same firm that gives travelers a way to pay for access to faster security lines at airports, is now moving into sports venues with a free version of its plan to let fans enter stadiums via special “Clear” lines. 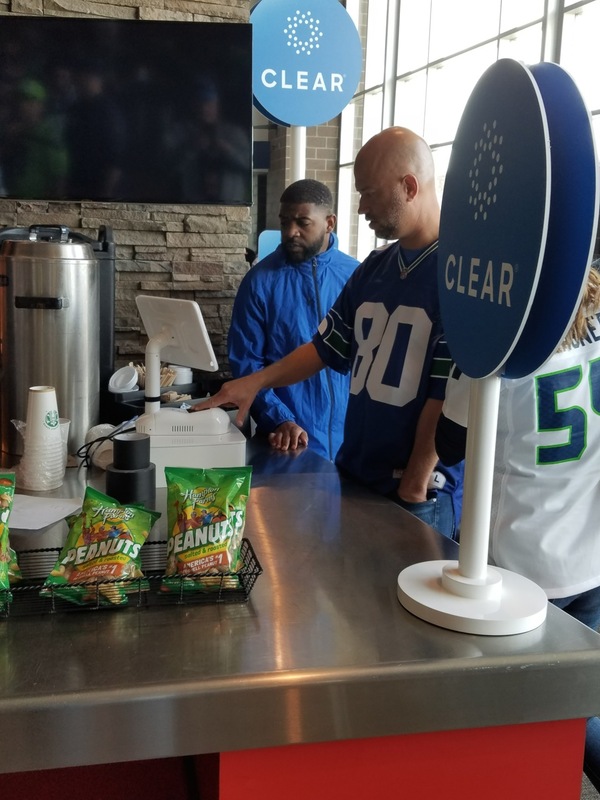 In Seattle, Clear and the Seahawks and Sounders are also testing a point-of-sale system where registered Clear users can pay for concessions and be age-verified by simply tapping their finger on a special concession-stand device. 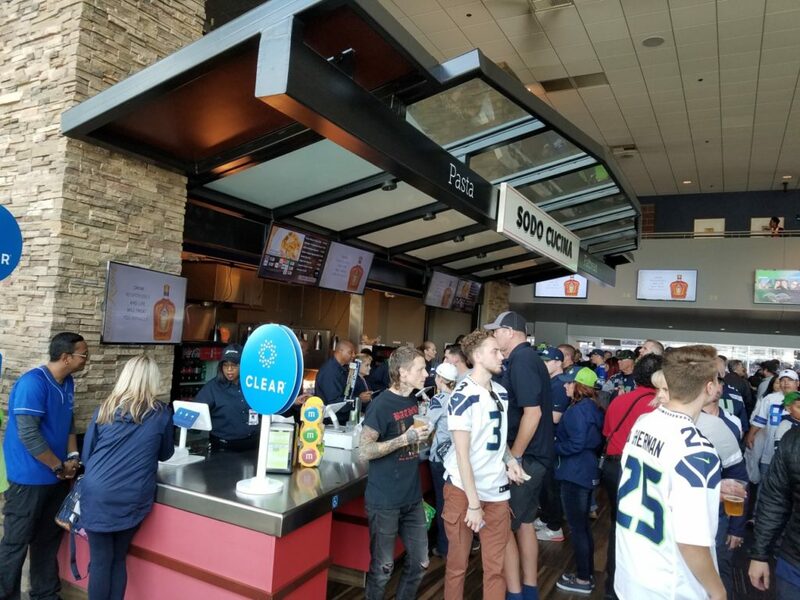 Currently, the system is only in use at four concession stands at CenturyLink but Seattle network executives said there are plans to expand the offering as the seasons progress. The system was also used earlier this season at the Seattle Mariners’ home, Safeco Field. 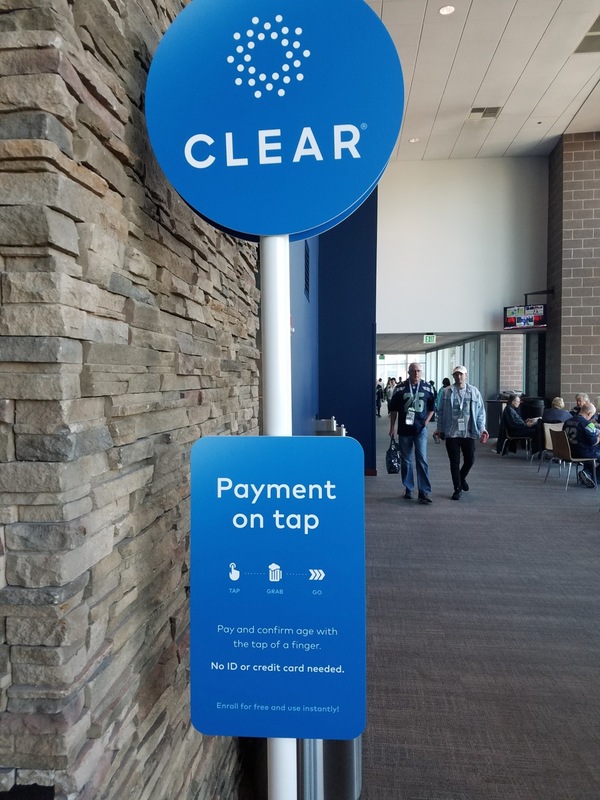 With more than 1,500 football and soccer fans having signed up for Clear at the stadium through the first week of October, Clear and CenturyLink are now seeing an average of around 1,000 fans using Clear to enter the stadium per football game and 200-plus similar verifications at Seattle Sounders games, according to statistics provided to MSR by Chip Suttles, vice president of technology for the Seahawks. The stadium started offering the service this preseason for both the NFL and MLS events. Fans who had previously signed up for Clear either at airports or online can use that same membership to enter the stadium. 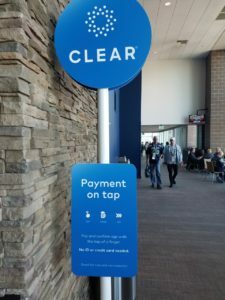 The workings of the concession system are pretty simple: Once a user signs up for Clear — which requires personal data including age and a valid credit card — the user orders food and drink at the concession stand window, then completes the transaction with a fingertip tap in a special counter device. The biometrics confirm both that a user is old enough to purchase alcohol, and has a valid credit card to bill, eliminating the need for personal eyewitness verification of I.D. and the time needed to transact via credit card or cash. 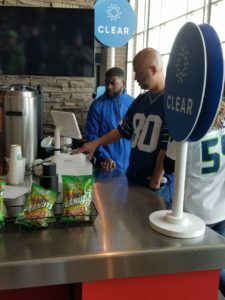 At the Seahawks’ Oct. 7 home game against the Los Angeles Rams, another 199 fans enrolled for the Clear system on-site, and 911 fans used Clear to get into the venue, according to Suttles. The Clear system was used for 239 concession transactions at the game. 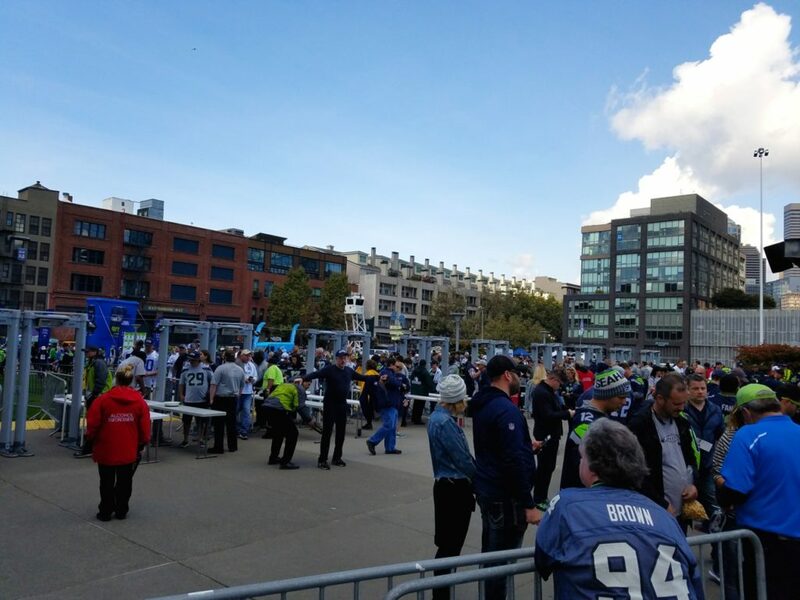 Fans could sign up for Clear inside and outside CenturyLink Field. 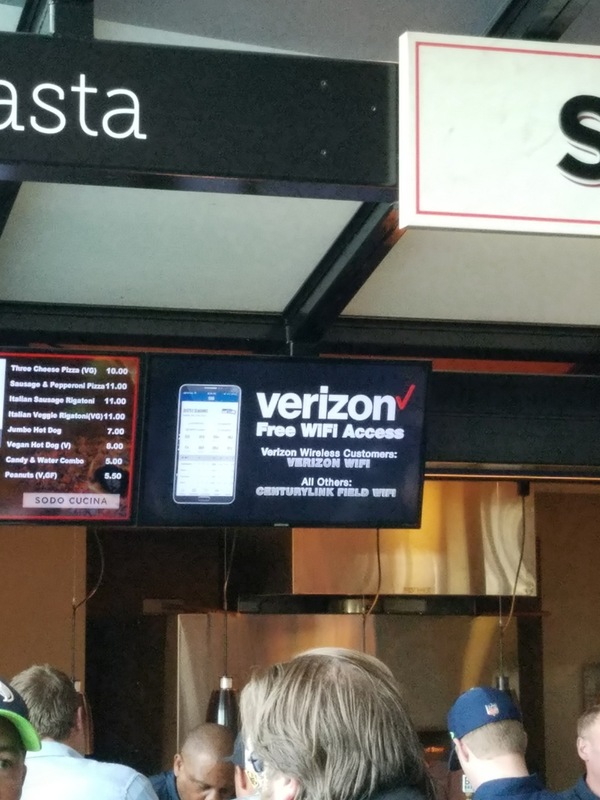 While the numbers may seem small right now, the promise of using technology to produce much faster concessions transactions are a welcome beginning to an area of stadium operations that in many places seems stuck in the far past, with cash transactions and counter staffers who take orders, fulfill them and then take payments. 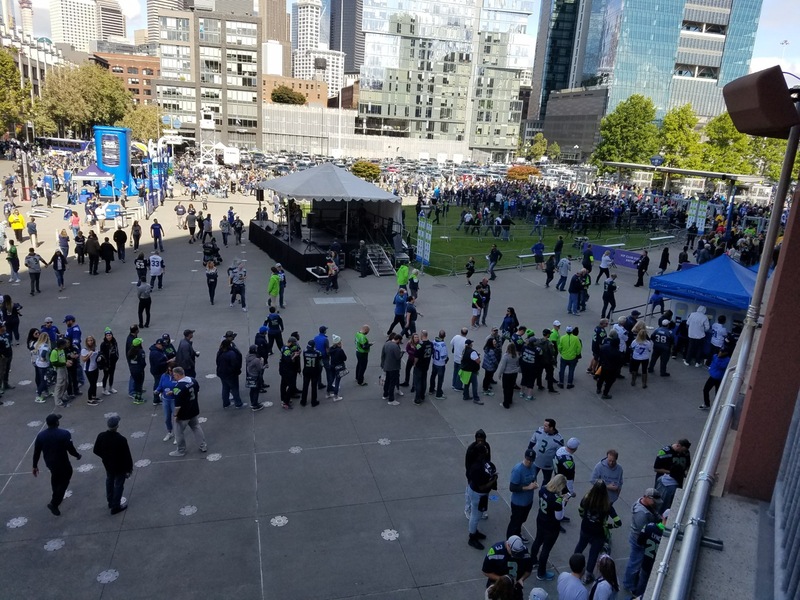 “We are always looking for new, innovative ways to enhance the fan experience,” said Suttles, who said feedback so far from Seahawks and Sounders fans has been overwhelmingly positive. 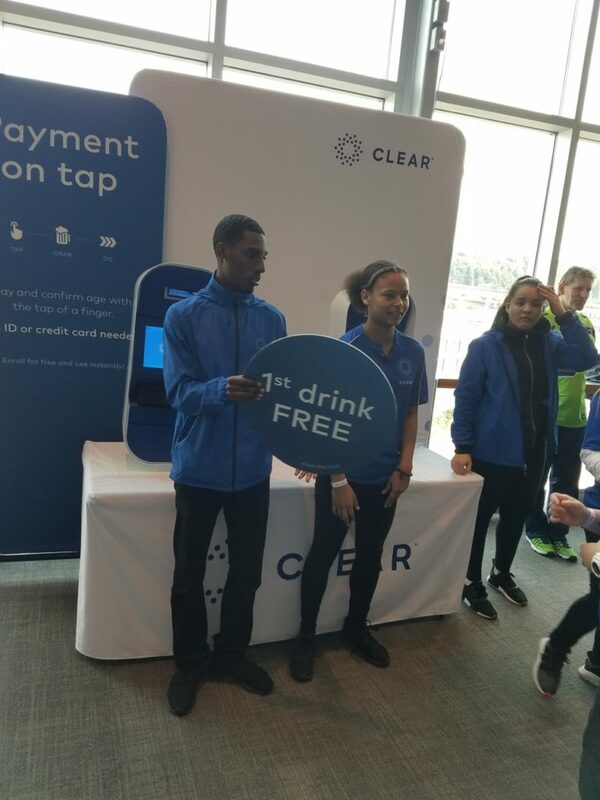 David Kapustka, Seattle Bureau Chief for Mobile Sports Report, attended the Seahawks’ Sept. 23 home game against the Dallas Cowboys and did an on-site test of the Clear system, and not just for the free beer Clear was offering as a sign-up promotion. Once signed up for the system, Kapustka reported that the concession-stand finger-scan interaction “took less than a minute,” though there was some waiting beforehand to order since the Clear payment lanes share space with regular ordering and payment lanes at the two stands where the Clear service was offered that day.